← We are Catching Stripers! 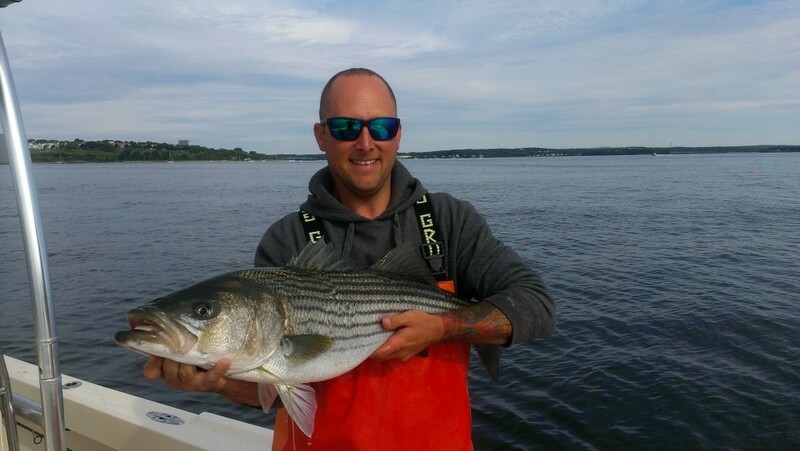 Snap-A-Striper, the data collection research program on which CCA-Maine and the Gulf of Maine Research Institute (GMRI) are collaborating, compiles detailed information on striped bass caught in Maine waters. The 2016 season is winding down and a good catching season it’s been, with many anglers young and older, as well as captains and guides, sending in photos of their fish to the scientists at GMRI. Capt. Carle Hildreth was our grand prize winner with the most fish as well as the biggest fish submitted for the season. Capt. Carle will receive a rod & reel package donated by L.L.Bean. Thanks to all who participated in this important “citizen science” research program in 2016. We encourage all of you to spread the word about Snap-A-Striper and to “sign up” your angling friends for the 2017 season!